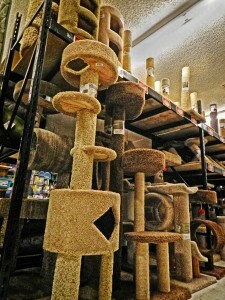 Cat trees are an excellent way to provide cats a way to exercise. Exercise is an essential part of a cat’s life and it keeps them healthy. If you build your cats an environment in which they can exercise they are happier. Climbing trees is natural behavior and it takes away boredom. 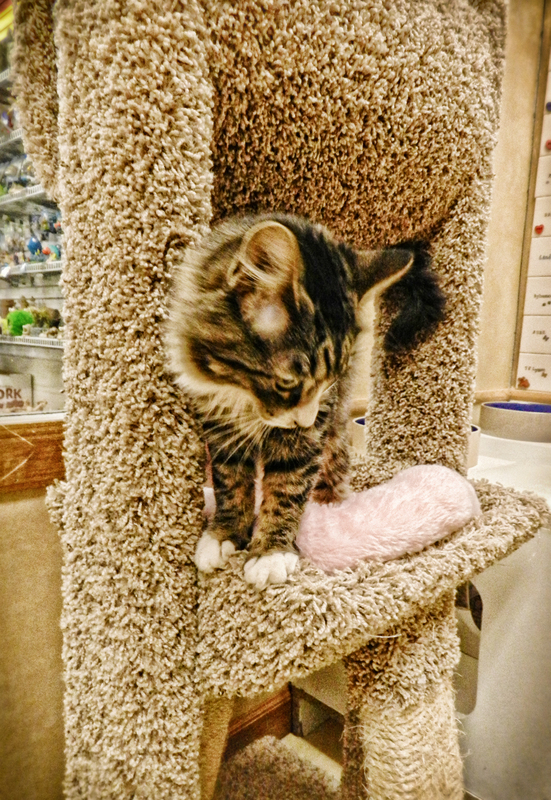 Give your cat a tree as a way to train it out of bad habits. Cats need their claws in the nature and scratching is a natural instinct that cannot be stopped. It has long been assumed that when cats scratch objects with their front paws that they are sharpening their claws. It turns out that this is only a secondary reason. Research on cat behavior suggests that the major reason for this behavior is communication. By roughing up the bark of a tree (or the leg of your favorite chair) the cat is letting other cats or people know where she is and what she is up to. Let’s make sure that our cats have a good scratching post. The best way to save your furniture is to give them appropriate places to scratch, climb and be a cat. Cats love to hunt and climb, scratch, play and lounge. They survey their prey and surroundings. In nature many wild cats carry their prey up to eat it safe from competitors. 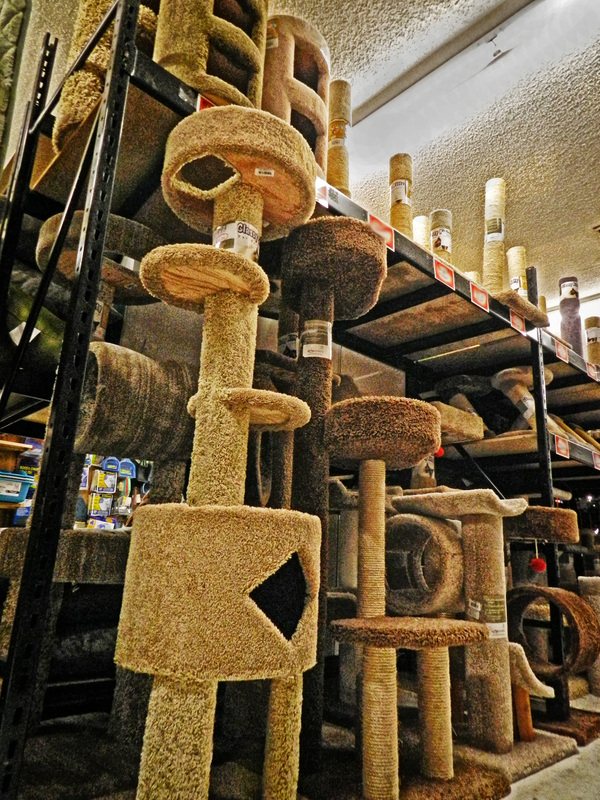 Carpeted, floor-to-ceiling cat trees provide a secure, durable pathway to the highest domain in your home while keeping your cat off surfaces where you display breakables or prepare food. They also place your cat where much of the heat in your home ends up – near the ceiling – and cats love to be where it is warm. If you can locate it near a window, even better. It is estimated that cats spend over 60% of their time each day sleeping or resting; therefore, lounging and sleeping spots are essential. In multiple-cat households, these spots also help minimize social stress and provide a respite from quarrels – presuming there is a special spot available for each cat. 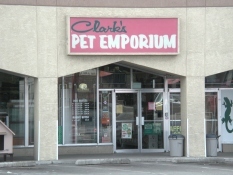 Cat posts, or “trees”, come in a variety of sizes 2’ to over 7’, and a variety of colors to match your home décor. Designed with a very small footprint, a tree occupies less than a couple square feet of your floor space, yet gives many square feet of elevated perching space – ideal for smaller homes or for setting up multiple trees. Shop our great selection of cat trees in Albuquerque.